Antique bookcase. Two sectional six door bookcase circa 1870. 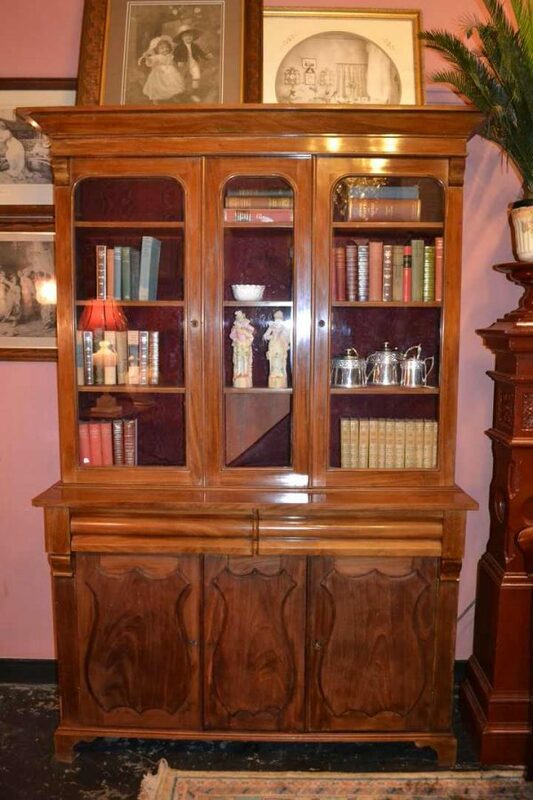 This large bookcase in original condition features a glazed top section above a base having two large drawers plus a generous shelved storage area behind shield doors. Welcome to Old Post Office Antiques with many examples of fine, good quality antique furniture at Melbourne’s best value for money antique shop.